Pirates' team manager Adrian Edwards is to resign at the end of the season. 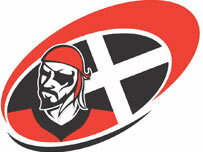 Cornish Pirates manager Adrian Edwards will leave the club at the end of the season, according to BBC Radio Cornwall. Edwards is the second high-profile figure to leave the Pirates this week, following President Dicky Evans' shock resignation on Monday. Edwards has been working with the Pirates for nearly ten years. But he will stay with the club for their remaining league matches this season. The club are keen to focus on the weekends home game but will soon hold an EGM to discuss issues such as whether to continue with plans to share a new Stadium with Truro City. A large crowd is expected at the Camborne ground on Sunday and the Pirates are planning to stage a tribute to former President Dicky Evans before kick-off.